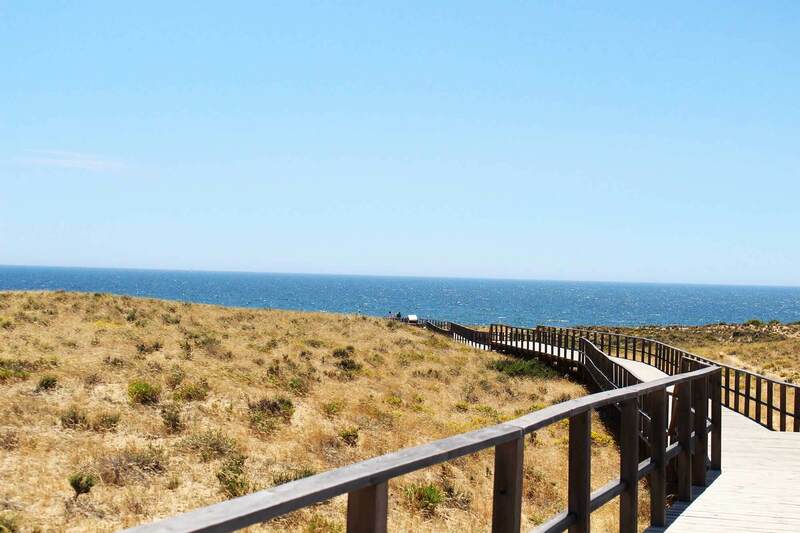 Visit the marine caves of Algarve coast! 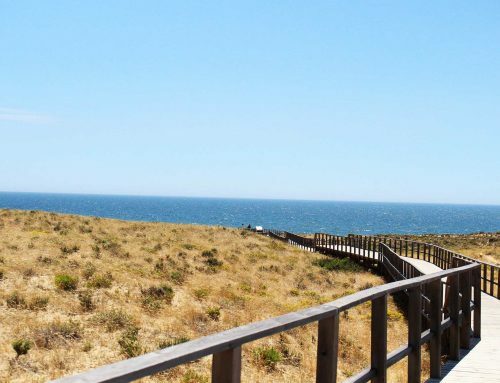 The Algarve coast between Armaçao de Pera and Lagos is very cut out and offer to bathers and walkers a multitude of small and protected coves and beaches. One of the most famous ones is Algar de Benagil. 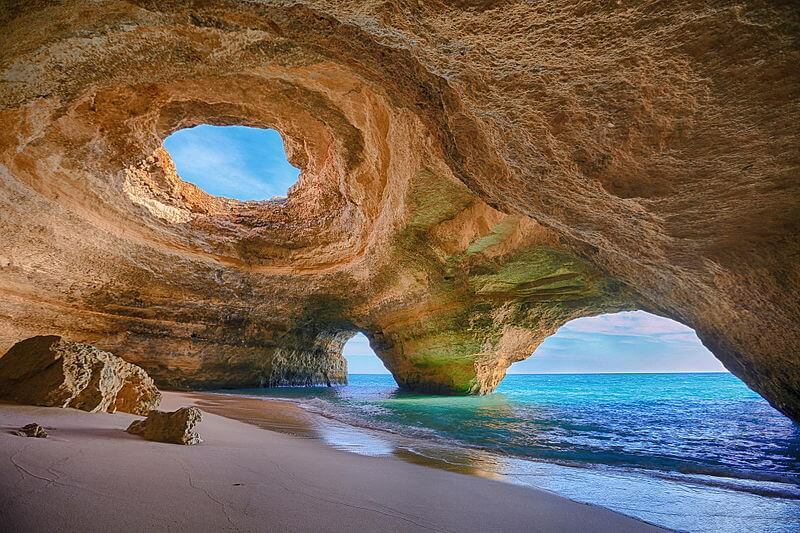 This impressive rock cavity is located close to the beach of Benagil. From the inside of the cave, you can admire the blue sky through an opening in its ceiling. This opening, called Eye of Benagil, makes photographers happy. This cave is accessible only by swimming (on the condition of being a good swimmer, and that weather conditions are favorable) or by boat. You will find a lot of companies offering to visit the cave of Benagil and other marine caves of the coastline. Ask for the duration of the excursion which is very variable (from a few minutes to more than one hour), and with the options proposed. Indeed, some excursions allow to land on the cove or inside the caves, and to swim inside translucent waters. Fishermen boats : You can find them on some beaches of Benagil or Carvoeiro.